Trend playas huddle up! 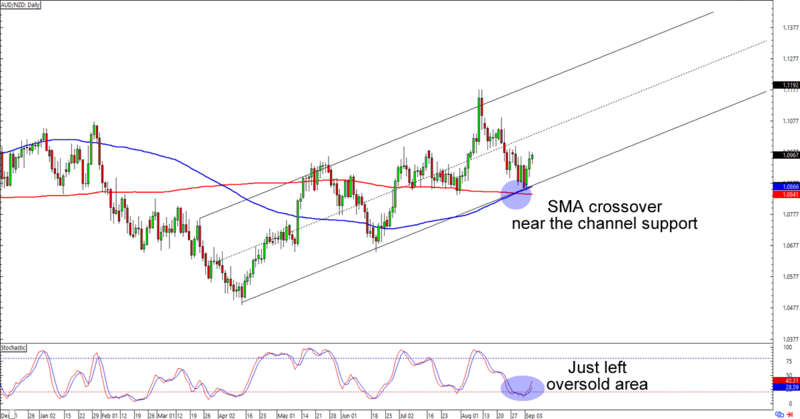 I’ve spotted hot forex trend opportunities on EUR/CAD and AUD/NZD that you wouldn’t want to miss. Check it! EUR/CAD is about to hit the 1.5300 major psychological handle, which is right around the falling channel resistance and a previous area of interest on the 4-hour time frame. Stochastic is still in the overbought territory, so y’all have time to whip up your trading plans if you’re planning on riding another wave in a downtrend. 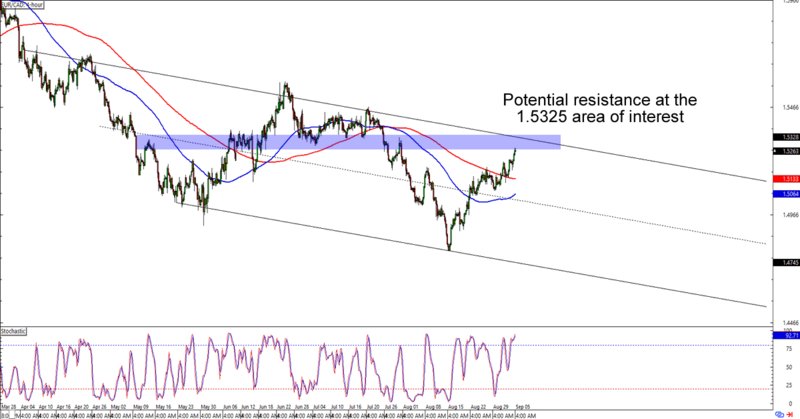 If you don’t believe that the euro will see losses against the Loonie, however, then you could wait for the pair to trade above the channel and trade an upside breakout instead. Is AUD/NZD ready for another leg higher? The pair found support just below the 1.0900 psychological mark, which isn’t surprising since it’s also near a channel support that hasn’t been broken since late March. What makes the setup more interesting is that the 100 SMA has just crossed above the 200 SMA on the daily chart. Buying at current levels would get you a good reward-to-risk ratio especially if you aim for the previous highs near 1.1200. Just remember to keep your stops wide when trading currency crosses AND longer time frames like these, aight?